The CNC UNO is a small desktop CNC Mill that can be used for hobby engraving and routing, PCB milling and education. It is mainly made with 3D Printed ABS plastic parts and plywood. Before starting this project, please observe that this machine is not intended for precision work nor for cutting hard materials like metal. 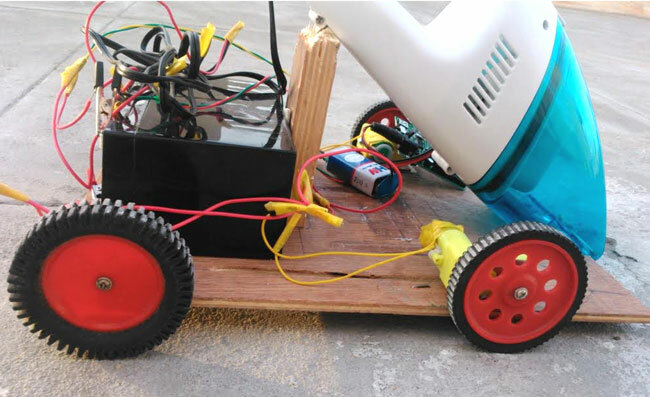 As the machine parts are made of plastic and wood, the machine will flex under heavy load and that is why this project is for fun rather than any serious application. That said, it is a great little machine for hobbyists that want something to play with without having to spend a fortune. Also, remember that this will not be a 100% exact description of every little detail of the project, although I will try to explain as much as I can. You will probably have to improvise a little here and there. Read through the project before starting and make sure you feel comfortable with the steps described. Let me know if you want me to add more pictures and steps. Here is a list of things you will need to get for the project. I have provided links to where I got the parts. Step 2: Let’s get started! Picture of Let’s get started! This is the model I made in Rhino 3D when planning the project. I wanted a small and light milling machine that I could play with on my desktop. Mark the pieces on the plywood and cut them out. The drawing is in millimeters. I cut two pieces of the bottom sides of the frame and glued them together for better stiffness. I also clamped side pieces together and cut them at the same time to make them as similar as possible. You can also use nails and screws in combination with the glue. Now, cut out the table and the back plate for the Z axis. Table size is 25.7 x 24.4 mm. Back plate size is 80 x 140 mm. Now when you have the frame ready, print out all the plastic parts and put them together. Use the frame as a reference and cut the steel rods for the X and Y and Z axis to the correct length. Be careful not to cut them too short. It is better to cut them long first and then test with the brackets and the frame, and if they are too long, cut them a bit more. On my machine, I got these lengths (more or less): X-axis 350 mm, Y axis 250 mm and Z axis 120 mm. Also, test out the length of the X and Y axis timing belts. They should be fairly stretched and you can use the spring from a clothes peg as a tensioner. On the picture, I had mounted the first motor I used. It later turned out to be too weak so it has been replaced with a bigger motor. Clamp the parts to the frame and mark and drill all the holes for the mounting screws.